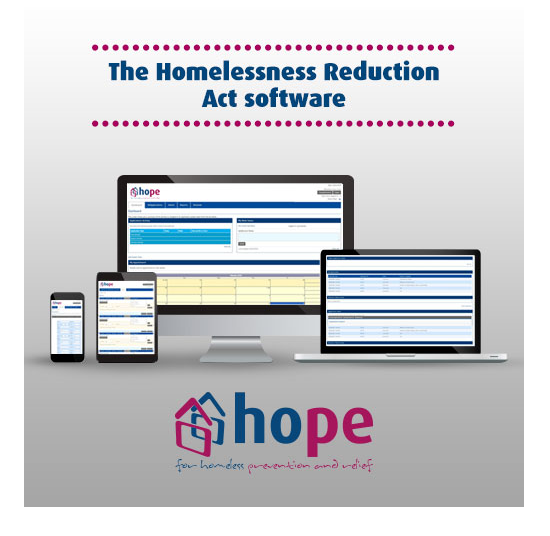 In effect since April 2018, the Homelessness Reduction Act fundamentally changed homelessness legislation by introducing a statutory duty to help prevent applicants losing their home. The act also requires the local authority to take action to help source accommodation for applicants who are homeless. As has been the case in Scotland for several years, the new duties are not focused on whether an applicant has a priority need. In order to comply with the new legislation, councils must make assessments and provide useful assistance to anyone who is threatened with becoming homeless or who is already homeless. This must also include the provision of a personalised housing plan. The H-CLIC (P1E) statistical reporting return has been updated in line with the requirements of the new act and will become much more related to individual case management. There are significant concerns that the new legislation could overwhelm high demand local authorities with additional workload at the point of contact, around assessments and administration, reviews and appeals – and also for reporting. With this in mind, Home Connections has developed a fully configurable case management system with built-in assessment and recording tools set to help provide advice as well as accommodation options. The system is aimed to ease the everyday administration tasks of housing officers from the very beginning of the assessment stage, up until secure accommodation has been established for the homeless and homeless prevention cases. Uniquely, the Home Connections national mobility scheme, Homefinder UK can also be supplied as part of the system in order to provide direct housing options and alleviate the pressure from casework for applicants wanting or willing to move out of the borough. We have already held many seminars across the country to discuss the needs of various local authorities to improve our software and make it as intuitive and user-friendly as possible. Based on a rapid and agile development process we can be ready to demo and implement hope for your council within the next few months. The first live hope system is already running in Leicestershire since the end of September 2017.